"If it is good enough for CERN, it is good enough for me." 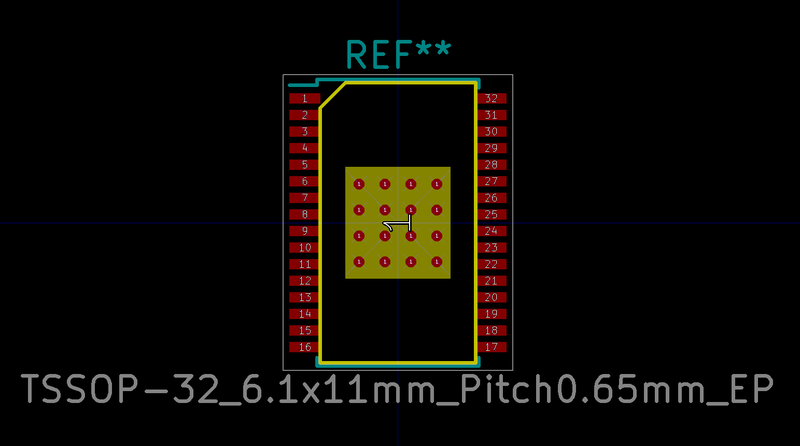 This KiCad library contains a single footprint specifically for TI TLC5947 ICs, comprised of a TSSOP-32 package in 6.1x11mm size, 0.65mm pitch, and a PowerPAD thermal pad. This KiCad library contains a single footprint specifically for RGB LEDs with common anode, in a SMT package, as sold by AliExpress shop Xong Sin Lights. This KiCad library contains a single footprint specifically for 16+1-segment LED displays, in 0.8 inch height. 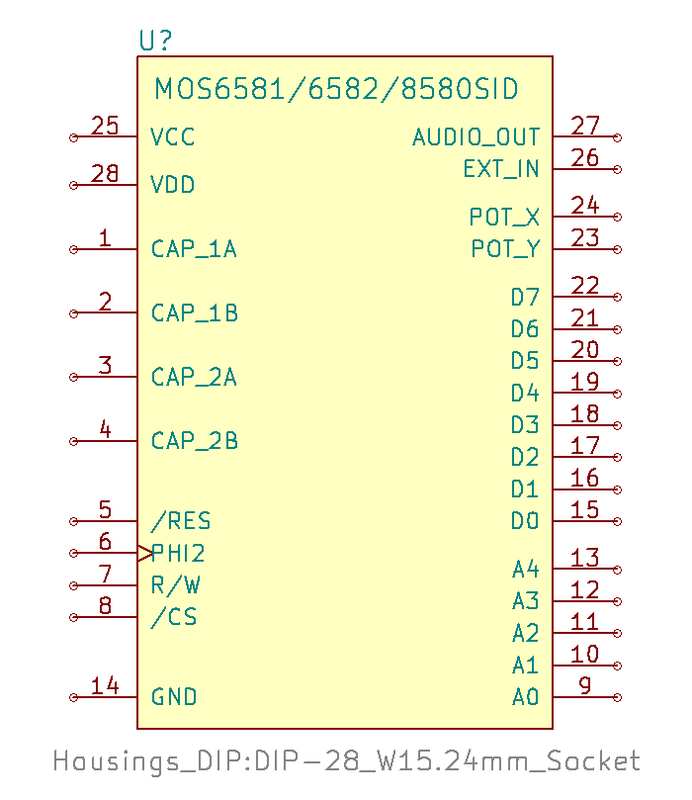 This KiCad library contains a single part specifically for MOS Technology Sound Interface Devices (SID), i.e. the 6581, 6582, and 8580 sound chips, as used in various Commodore home computers in the eighties. 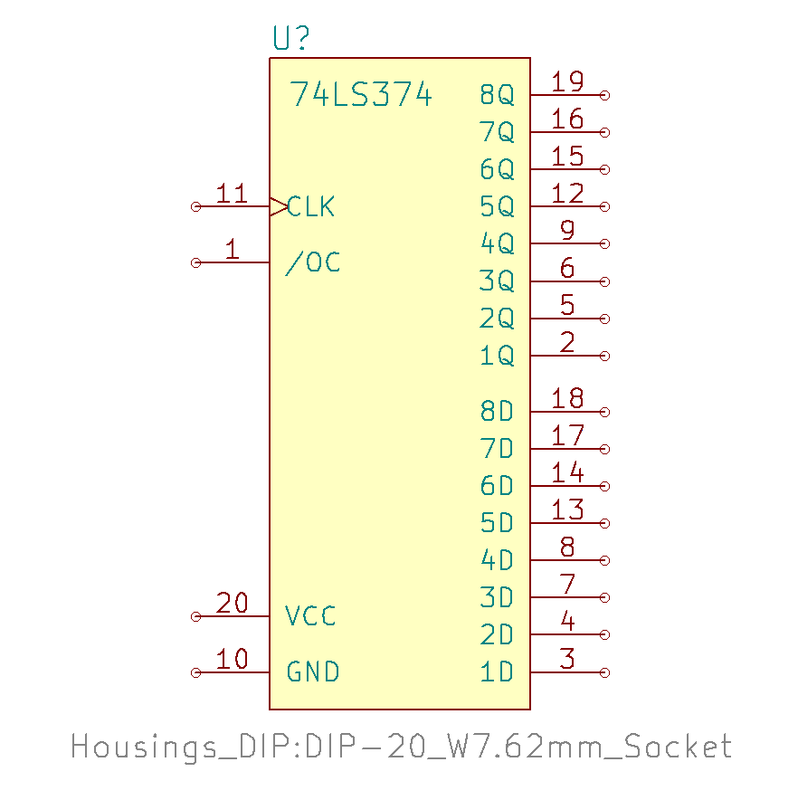 This KiCad library contains a single part specifically for LM2940-CT, 1A 26V LDO linear voltage regulators, with fixed output 5.0/8.0/9.0/10/12/15V, in TO-220 package. 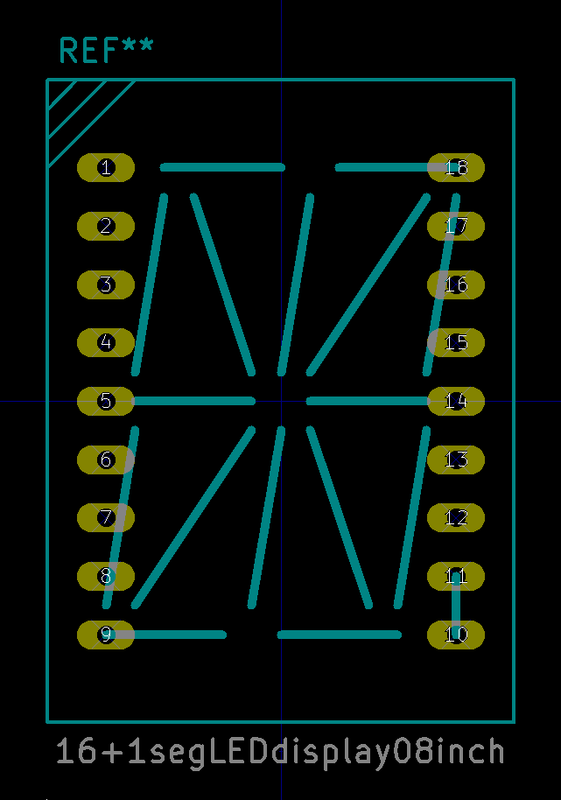 This KiCad library contains a single part specifically for 74LS384 ICs, octal edge-triggered D-type flip-flops. 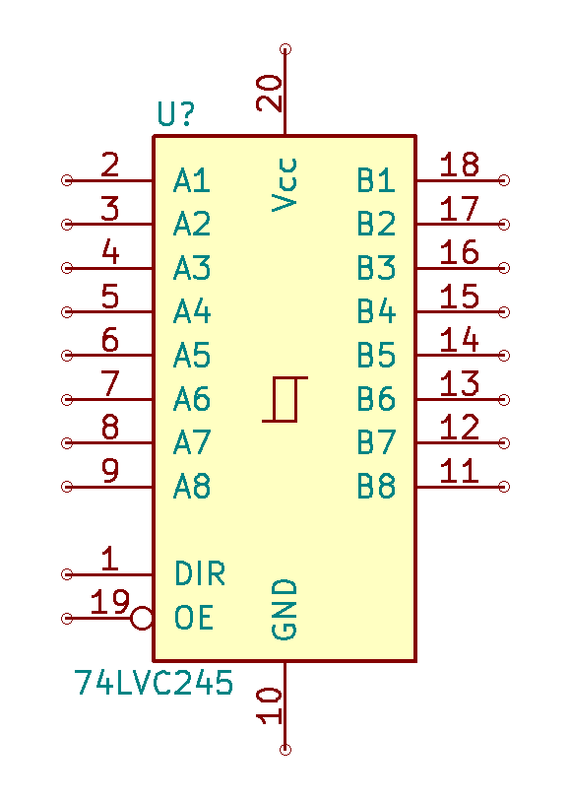 This KiCad library contains a single part specifically for 74LVC245 ICs, octal bus transceiver with 3-state outputs. This KiCad library contains a single part specifically for Diodes AP2112 LDO regulators with Enable. 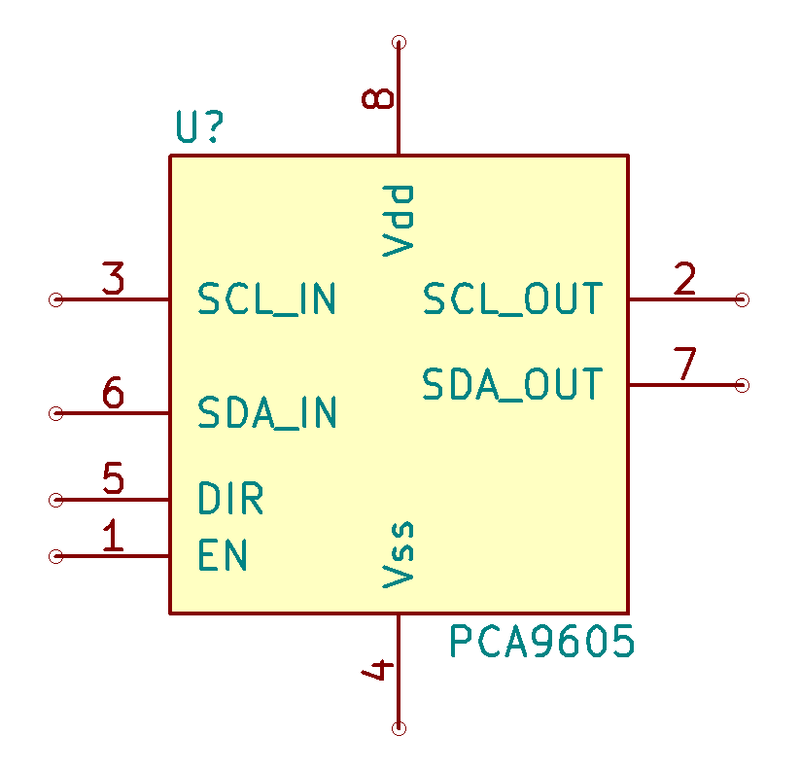 This KiCad library contains a single part specifically for NXP PCA9605 ICs, simple 2-wire bus buffer. 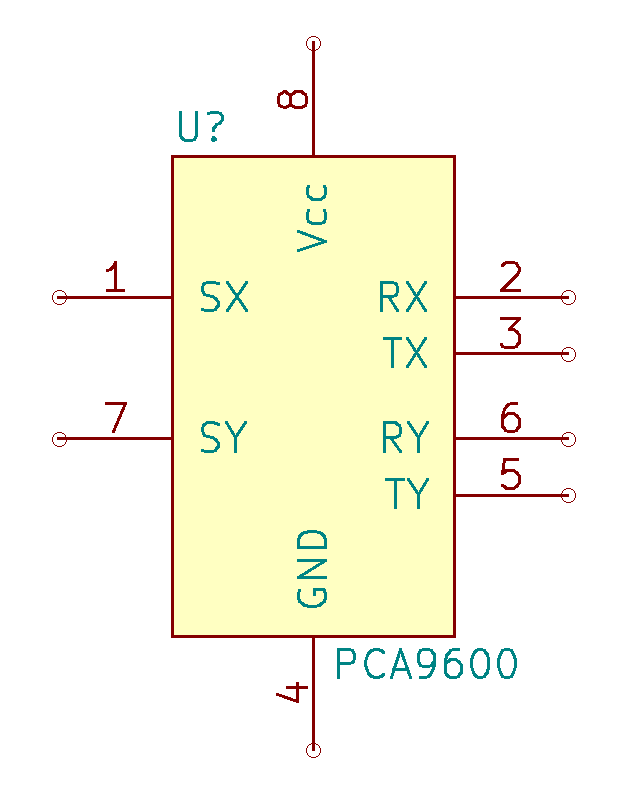 This KiCad library contains a single part specifically for NXP PCA9600 ICs, dual bidirectional bus buffer.